But there are detriments to damming rivers. Many people depend on the natural ebb and flow of unrestricted rivers that swell with water in the rainy season and wane in the dry season. When the natural flow is changed, people and ecosystems are affected: globally, an estimated 472 million people living downstream of dams have suffered adverse effects from changes to the rivers' flows. Dams that regulate water flows reduce all these benefits. In exchange they provide water for hydropower and domestic supply. It's a trade-off in which some people gain and some lose. More and more, national legislatures, governments and donors that finance dams have started to demand mitigation measures to try and minimise losses. One option is to establish so-called "environmental flows". This involves releasing water from dams in a way that mimics some of the natural highs and lows of water flow in an undammed river. This variance in flow creates many benefits for fisheries, agriculture and biodiversity. But several systems must be in place to ensure this is a smooth, effective process. A good knowledge of the river system that's to be dammed, and of the communities downstream that may be affected, is crucial. Hydrological modelling is useful: models of these river systems can help the decision makers reviewing, approving and building dams to better understand risks and benefits. Crucially, communities must be involved in any discussion and planning. Yet, there's a challenge. If too much water is released, a well-intended controlled flood can quickly become a disaster. That's why dam managers may, understandably, hesitate to release high environmental flows – that is, controlled floods. They do not want to risk being accused of threatening lives and properties downstream. The Omo River in Ethiopia illustrates this dilemma. It's a major lifeline bringing water and nutrients to the extremely dry lower Omo valley and Lake Turkana in Kenya. Local communities depend on seasonal floods to enrich the floodplains where cattle graze and people cultivate their fields. But living and working in floodplains comes with risk: in 2006 flash floods devastated large areas of the lower Omo valley, causing many deaths. 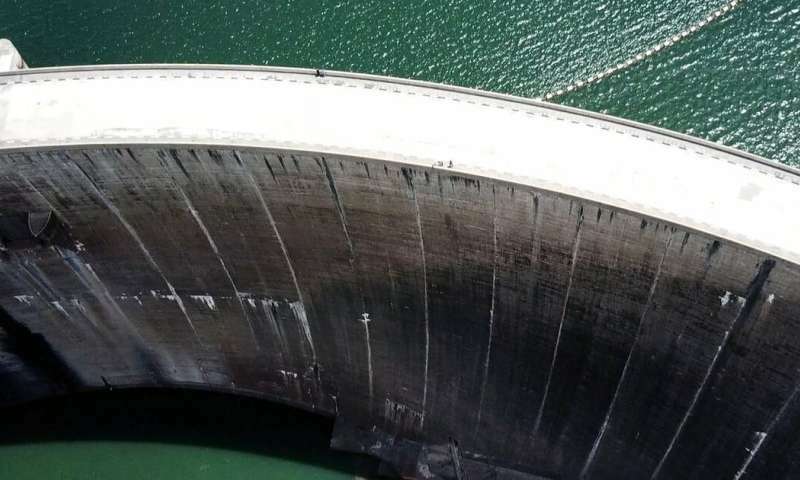 Protection against floods was one of the arguments used to support the building of the recently commissioned hydropower dam, Gibe III, on the Omo River. But while this large dam might play a role in mitigating flood risks, non-government organisations have warned that ecosystems and local communities depend on the river's annual flood. That's why it is important that the timing of a man-made flood from the Gibe III dam is reliable and aligns with the natural pattern of seasonal flooding, so that people are prepared. Flood warning systems are essential, too. Despite controversies around the construction of new dams, dams are here to stay. That's why it's urgent to find ways to better manage them to serve surrounding ecosystems and the people who depend on them, including by planning for controlled releases of water that mimic the benefits of free-flowing rivers.